Rescue a cat on a thin plank 200 meters above ground. Bandai Namco will open a virtual reality experience area called “VR Zone: Project i Can” in Tokyo Plaza for a limited time from April 15 until mid-October, the company announced. The 5,870 square-foot VR Zone will act as a virtual reality research facility where Bandai Namco can gain feedback from users to pursue further possibilities in virtual reality. 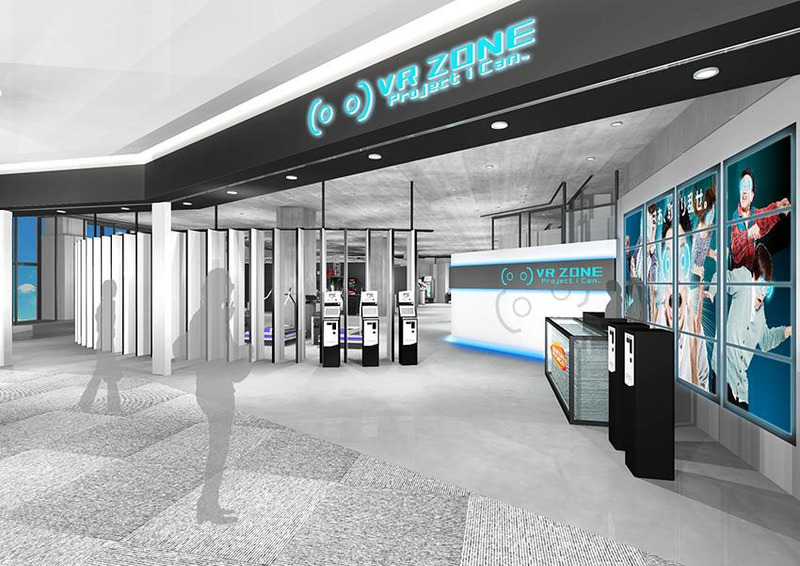 The VR Zone will operate by appointments, which will start being taken on April 8 at 12:00 JST. In the future, Bandai Namco is considering a variety of other developments, including putting VR experience corners in both amusement stores and other stores. “Fear of Heights Show” – An extreme test of courage where you rescue a cat left behind on a thin plank 200 meters above the ground. “Skii Rodeo” – A downhill skiing experience set on a snowy cliff. “Real Drive” – A sports driving experience where the vehicle behaves just like a real car. “Escape Ward Omega” – A “were we really attacked?” horror experience where you enter a giant, ruined hospital ward together with everyone. “Train Master” – A railroad operation experience where you experience train control just like the real thing as a train driver for JR Yamanote. “Argyle Shift” – A cinematic experience where together with a girl, you enter the cockpit of a giant robot and battle. Visit the VR Zone’s official website here. Watch a promotional clip for the VR Zone below.